Rich Christianson applies the time-honored journalism skills he first honed as a Chicago-area newspaper reporter to write case studies and feature articles about woodworking technology and design. Rich has a strong grasp of the processes required to write audience-engaging articles from researching and interviewing through writing and final editing. In addition to the hundreds of features he wrote during his three decades with Woodworking Network and its forbearers, Rich has contributed feature articles to FDMC, Surface & Panel, Woodshop News and a host of industry suppliers. 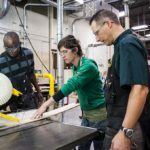 Abstract: If you want to get a better understanding of what makes the Woodwork Career Alliance of North America’s woodworking skill standards tick, then a conversation with Patrick Molzahn is a good place to start. Molzahn is the director of the Cabinetmaking & Millwork program at Madison Area Technical College in Madison, WI. He has been actively involved with the WCA and its initiatives to develop and promote industry-recognized woodworking skill standards from the get-go. Read the story. 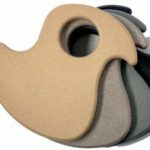 Abstract: Among the many options for finishing MDF, two of the most durable are two-component polyurethane and powder coating. These two methods are worlds apart in their resin chemistry, process application and curing. Yet, each can effectively render attractive results that will hold up well to high-demand spaces ranging from kitchens and offices to laboratories and retail stores. Read the story. Abstract: Metal laminates occupy a unique place in the decorative high-pressure laminate family. Unlike their heavy-duty brethren that are engineered to withstand the daily wear and tear subjected to kitchen countertops and other work surfaces, metal laminates, though durable, are neither scratch resistant nor fingerprint proof. 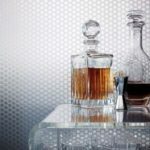 Their physical limitations aside, the beauty of metal laminates lies in their uncanny ability to create a wide spectrum of mood-setting special effects. Read the story. Abstract: Wm. H. Fry Construction Company won an unprecedented daily double in this year’s PureBond Quality Awards competition. 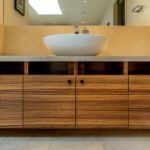 The highly green-minded and diversified homebuilder in Cupertino, CA, took first-place honors in both the Residential Bathrooms and Residential Other categories of the fourth annual awards program sponsored by Columbia Forest Products. Read the story.